Moisture Me Rich Shampoo is rated 4.3 out of 5 by 6. 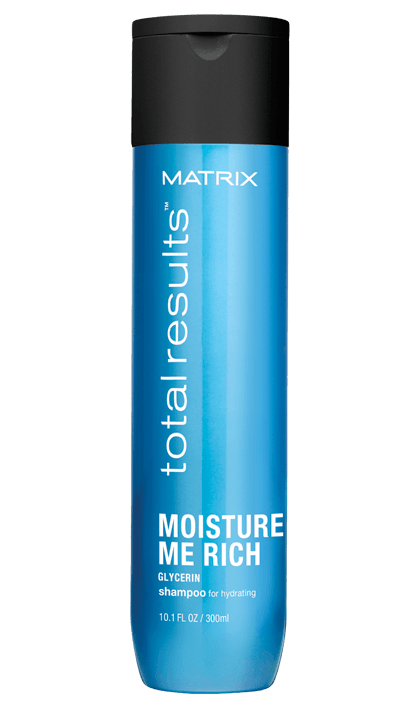 Share https://www.matrix.com/total-results/products/moisture-me-rich/moisture-me-rich-shampoo Moisture Me Rich Shampoo for Hydrating Dry Hairhttps://www.matrix.com/~/media/matrix us media library/2017jan/2017trrefresh/tr_moisture_me_shampoo_wt_300_420x408.png Cleanses to help restore moisture to dry hair. Looking to manage dry, damaged hair? Look no further than Moisture Me Rich Shampoo, a lightweight cleansing shampoo that helps restore moisture to hair, leaving it soft, replenished, and radiant. This volumizing shampoo adds moisture, lightly penetrating layers of hair to add conditioning. *With the professional products system of Moisture Me Rich Shampoo, Conditioner, and Moisture Cure vs. a non-conditioning shampoo. 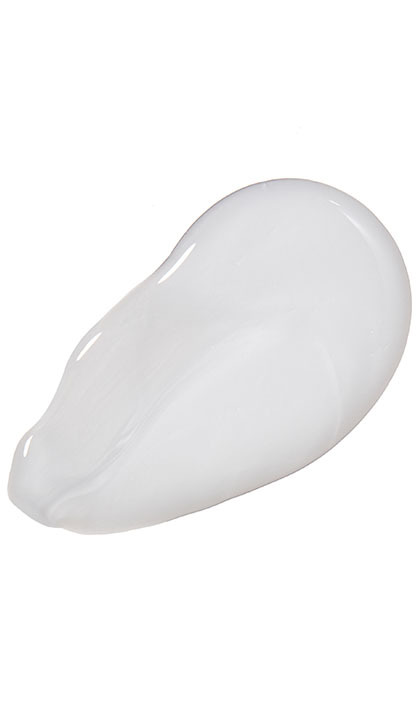 Aqua / Water / Eau, Sodium Laureth Sulfate, Glycerin, Sodium Chloride, Coco-Betaine, Glycol Distearate, Cocamide Mipa, Parfum / Fragrance, Sodium Benzoate, Hexylene Glycol, Salicylic Acid, Carbomer, Guar Hydroxypropyltrimonium Chloride, Prunus Armeniaca Kernel Oil / Apricot Kernel Oil, Citrus Grandis / Grapefruit Fruit Water, Linalool, Benzyl Salicylate, Limonene, Butylphenyl Methylpropional,Hexyl Cinnamal, Citronellol, Benzyl Alcohol, Alpha-Isomethyl Ionone, Methyl Cocoate, Sodium Cocoate, Sodium Hydroxide, Citric Acid. Apply to damp hair. Lather. Rinse. Follow with Moisture Me Rich Conditioner. Rated 5 out of 5 by Josh from Great product I love this product. One of my favorite Matrix products. Rated 5 out of 5 by sleepless from Great product for my hair After a year or so of coloring my hair to cover the grey, I usually oily hair got dry, brittle, and lifeless. My stylist suggested I start using this shampoo and conditioner. At first, I also need to use the mist-on, leave-in conditioner. It really helped my hair and I have been using this product for the last year and a half. When I used another product while on vacation, my great-looking hair went back to being dry and lifeless, so I know that this product makes a difference. Rated 5 out of 5 by Cynthia Boucher from Moisture Shampoo Matrix moisture shampoo has been the best thing that I have used in my hair in a very long time. It leaves my hair manageable and not fly away. Does not weigh it down which is what I like because my hair is fine and thin and I would like to continue using this product except the salon I deal with will no longer be carrying it. Please tell me how to order it online. Rated 1 out of 5 by Tabitha from Moisture Shampoo I think they missed the mark on this one. I found that the sleek is alot better than this. I had lots of frizz with the shampoo and conditioner. I didn't find it to be moisturizing at all. Rated 5 out of 5 by Dianne from Moisture Shampoo Best shampoo and conditioner made. Makes hair soft, manageable and shiny. Rated 5 out of 5 by Ashlee Keesey from Moisture Shampoo This ShampooConditioner set turned my hair from super dry to manageable. I have never found a combo set that worked so well. I will continue to use this product.